EXCITING changes to the 2019 Ainsworth Miracle Mile will see the best field of pacers in Australasia race for $1million at Tabcorp Park Menangle. 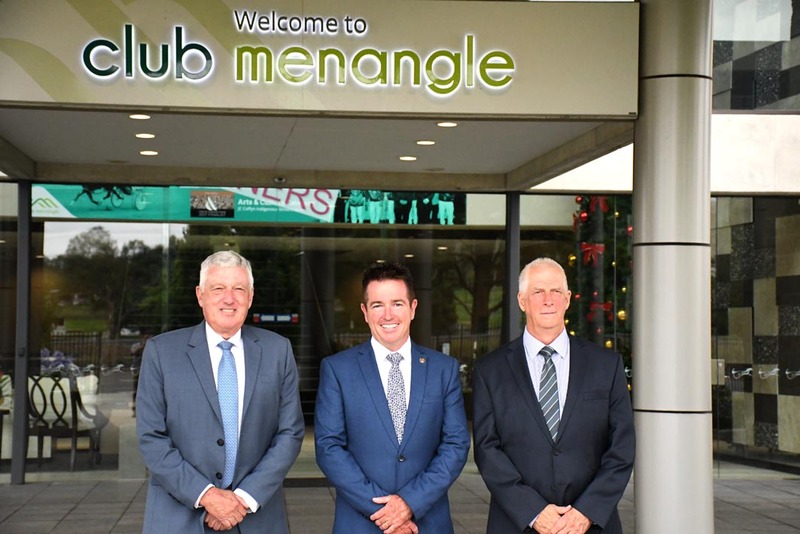 With the flagship race in New South Wales just weeks away, Club Menangle and Harness Racing New South Wales have signed off on an agreement to make it the richest harness race in the country. When the field lines up behind the mobile on Saturday, March 2, they will compete for $1,000,000 instead of the $750,000 which was originally scheduled. And in exciting news for the state’s biggest provincial club, the Newcastle Mile will again become an integral part of the lead-up to the big race. The Newcastle Mile on Friday, February 8 will be a Group One with a minimum of $100,000 in prizemoney…with the winner given an automatic invitation into the Miracle Mile. That horse will not be allowed to contest the two Miracle Mile qualifying Sprints on Saturday, February 23 – whether they accept the Miracle Mile invitation or not. Harness Racing NSW Chairman Rod Smith said the elevation of the Miracle Mile to a $1million race was something they had been planning for at least the past 12 months. “We’ll have more happening in the next few months,” Smith said. “When I became chairman my first plan was to get an increase in prizemoney for the bread-and-butter races. “We secured that; we’ve taken the restricted races from $3500 to $4500; we taken the $5000 races to $6000 and our $6000 races to $6500 and then introduced the rewards series for those unfortunate horses having difficult winning their first race. “We wanted to do to give the grass roots some value there and I think we’ve been successful in that. “The second thing was the mid-week races, which we took from $7500 to $9000. “The next thing was to look at our feature race, the Miracle Mile and in conjunction with Club Menangle we have now been able to do something about that for 2019 and as you know, at the same time we’ve increased the value of the Newcastle Mile. “It was usually run for about $30,000 and we’ve now taken that to $100,000 to make it a Group One. “Newcastle is a big club – the biggest one outside of the Sydney metropolitan area so we’ve given it a Group One-status race. “And I think the big positive out of that is the winner gets an automatic invitation into the Miracle Mile. “I think this is extremely important to the industry. I think the New South Wales industry needs to lead the way in Australia,” Sharman said. “I think it’s time New South Wales had a million dollar harness racing event and we need to move forward with the times. “We cannot afford to be left behind and I am so pleased with what we have been able to achieve in collaboration with Harness Racing New South Wales. “As for the Newcastle connection, I see that as a huge benefit across the board as well as for the Newcastle club itself. “One of our principle directions with the Miracle Mile is that it is based on racing within New South Wales in terms of qualification. “That’s why we moved away from the invitation phase which gave certain horses an advantage. “Effectively it extends our carnival by a week without running across the Victorian carnival, which I thought was important. “It took some negotiation, but we didn’t want to cross swords with interstate racing as well. Smith explained that no matter what industry you were in, you need a profile. “The Miracle Mile had a big profile anyway but this will add to that and give it even more status within the industry in NSW, nationally and right across Australasia,” he said. “It will be big for the whole industry and I think you need to be careful to look after the grass roots first and then work up from there. “Had we done it the other way round the country people and the smaller-time trainers, which we desperately need, would feel we were only looking after the top end. Smith said HRNSW in conjunction with Club Menangle, would ensure the race was run for $1million for at least the next three years. “I’d like to think it would be ongoing,” Smith said. “We’ve reached the pinnacle and we should be able to hold it at that value, well into the future. “We’ve got exciting times ahead, we’ll have that in 2019 . . . and in 2020 we’ll have that race plus it’s our turn to hold the Inter Dominion, which will be later in the year. “We had to get this out now because the qualifiers are in February and the Miracle Mile is in March. “But we will have more exciting announcements on what we are doing in this state in mid-January. congrats on making the miracle mile a more valuable event. I have followed it since Mount Eden won. I am though a litte mixed up as to your new selection method. Does this mean that the great Tiger Tara could miss getting a start?? ?